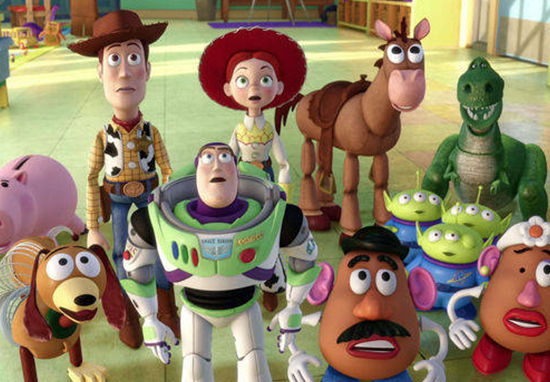 When it comes to films, especially kids films, there’s always much debate about which is best – but Toy Story is one of those always mentioned. 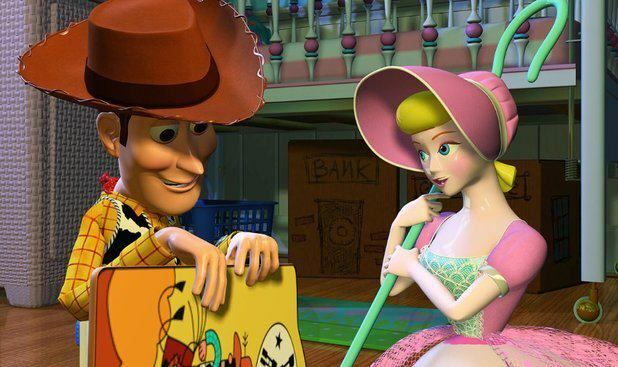 Cast your mind back 18 years – yes I can’t quite believe it’s so old either – a cowboy doll, Woody, is profoundly threatened and jealous when a new spaceman figure supplants him as top toy in Andy’s bedroom. With Tom Hanks as the voice of Woody and Tim Allen, the man behind Buzz Lightyear, the film gained high-levels of success – another two went on to be made and a fourth is rumoured to be hitting our cinema screens next year. 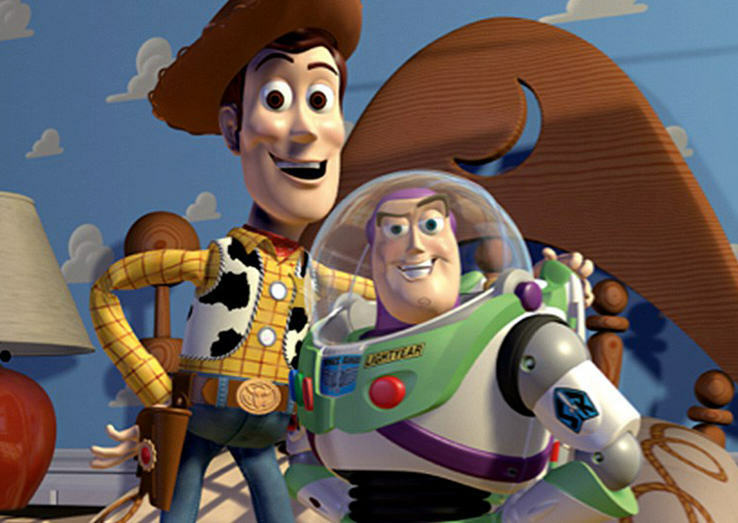 Toy Story was the first feature-length computer-animated film and the first feature film produced by Pixar – even writing that little fact makes me feel incredibly old – but boy did it leave an impression! It’s been ranked the best Pixar film of all time, beating the likes of Finding Nemo, The Incredibles, A Bug’s Life and Cars, according to Ranker. This is just my personal opinion, but it’s a list hard to argue with – as much as I love most Pixar films, is there really one which is better? Pixar have a knack of creating excellent films – so it’s a shame the process takes four years – the animators alone have to lock down the technology about two years before completion. In Cars, it was the reflections on the cars and windows; in Monsters Inc, it was the fur; and there’s the underwater stuff in [Finding] Nemo. There was a tremendous amount of complexity in Wall-E.
We couldn’t do humans very well, so we kept them in the background, you just see feet and hands and stuff like that. We could do plastic well, so making a film where the main characters were made of plastic was perfect. One of the things from the beginning that we recognised is that these are just tools. The technology never entertains an audience by itself. It’s not only Ranker that has voted Toy Story as the best Pixar film, Rotten Tomatoes give it an incredible 100%. 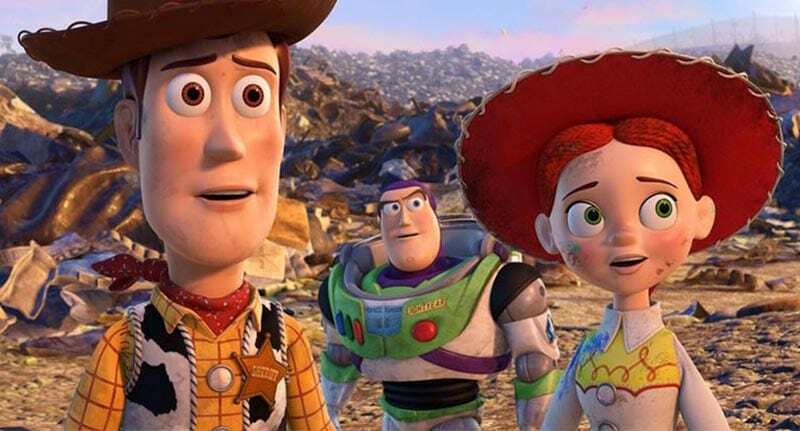 Entertaining as it is innovative, Toy Story reinvigorated animation while heralding the arrival of Pixar as a family-friendly force to be reckoned with. What other proof do you need it’s the best Pixar film ever? If you haven’t seen it yet – where on Earth have you been for the last 18 years and if you have, well, what a perfect time to watch it again!